Marvel announced that it has selected the main cast for the anticipated adaptation of Brian K. Vaughn’s cult Marvel comic book series, Runaways. The casting announcement confirms that the Hulu series is moving forward with a unique take on the series that will differ slightly from the original beloved comics. 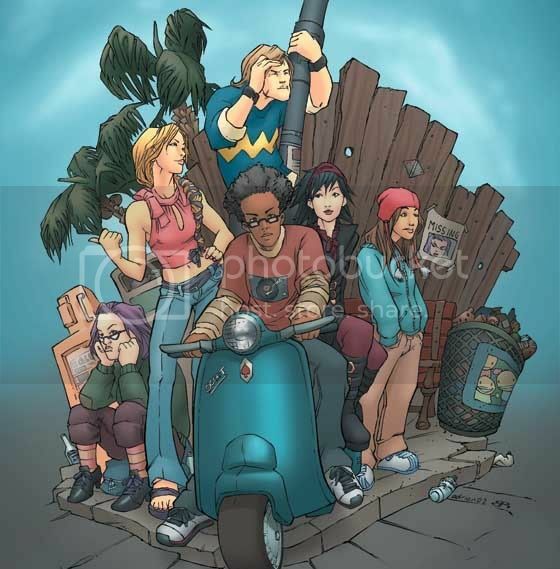 Runaways is a 2003 Marvel comic series by Vaughn (who currently writes the acclaimed comic Saga) about a group of young teenagers who discover that their parents are part of a supervillain organization known as “The Pride”. Together, these six parents control the superpowered criminal organizations of Los Angeles, California. Once their children discover their parent’s alter-egos, they become runaways and discover their own super powers which they use to fight against their own evil parents. 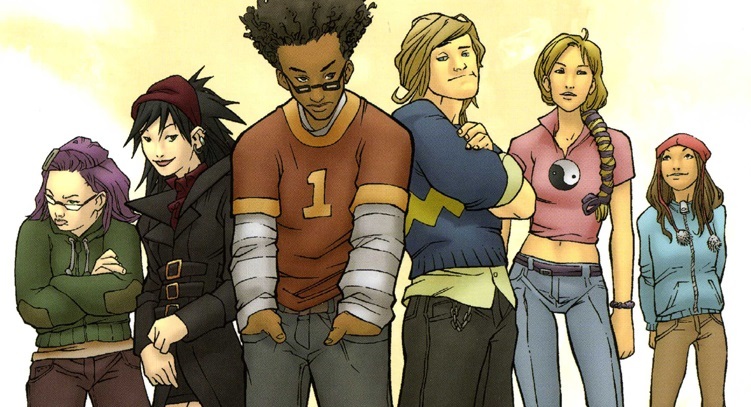 The Hulu original series is being written by Josh Schwartz and Stephanie Savage who previously worked together on the CW’s The O.C., suggesting that Runaways will run on a similar vibe as the popular young adult melodrama. The cast for Marvel’s Runaways includes Rheny Feliz (Teen Wolf) as Alex Wilder, the child genius whose parents control the LA mafia. He’s described by Marvel as a “loud-and-proud nerd” who’s a bit of a loner that would rather play video games than hang out with the team. Lyrica Okano (The Affair) plays Nico Minoru, the young “wiccan” and daughter of powerful sorcerers. She dresses up in a goth style and “embodies teenage angst”, which alienates her from her family and friends. Her mother, Tina Minoru, actually made an appearance in 2016’s Doctor Strange. Virginia Gardner (Goat) is set as Karolina Dean whose perfectionist parents are actually alien conquerors. Marvel explains that her “veneer of privilege and perfection,” are just the starting blocks for her to begin exploring her identity as an alien. Ariela Barer (New Girl) is cast as Gert Yorkes a “purple haired…contemporary riot grrrl”. Described as a “brash social justice warrior”, Gert’s parents are time-travelling criminals which allows Gert to telepathically connect to and control a genetically engineered dinosaur from the 87th century. Gregg Sulkin (Faking It) will play Chase Stein, a typical jock character and “high school heartthrob”. Despite his status as a dumb jock, Chase inherits his mad scientist father’s mind for engineering. Lastly, and biggest change from the original comic book cast, Allegra Acosta (100 Things to do Before High School) has been cast as Molly Hernandez (changed from Molly Hayes in the comics). Molly is the youngest member of the team but is a mutant with super-strength powers, while her mutant parents are both telepaths. It’s clear from the fact that Marvel is using terms like “social justice warrior” and “loud-and-proud nerd” that Marvel and Hulu intend to lean into contemporary youth culture with how they adapt these characters. 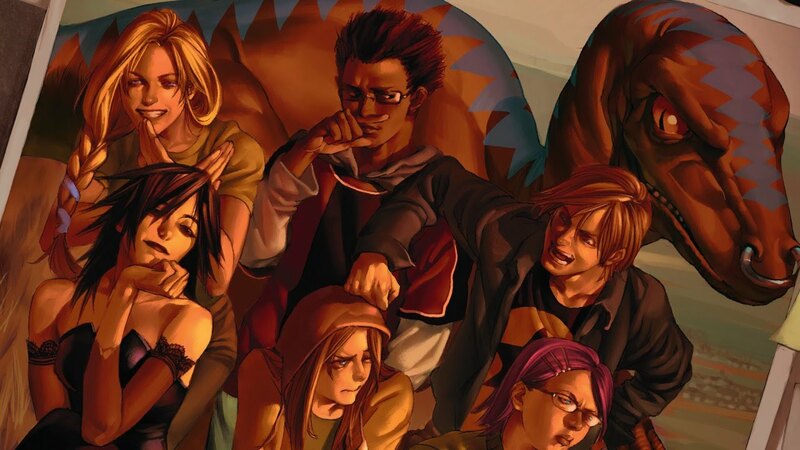 While Vaughn’s coming-of-age superhero story has always been praised for its nuanced and unique take on the Marvel Universe, Runaways could further modernize and deconstruct the superhero genre with their new series. Runaways is currently in production and doesn’t have a release date yet.